The Batik Boutique is an award-winning social enterprise that provides training to women from low-income backgrounds to produce gifts and fashion accessories made from the Batik. Founded in 2010, it started as a small sewing group of 20 single mothers from low-income groups working together make ends meet. They are largely ladies who live at the Program Perumahan Rakyat (PPR) Kota Damansara. With Batik Boutique, the women’s handwork is being sold and marketed not only in Malaysia but also exported to the US and Europe, under the said brand. Batik Boutique’s objective to empower underprivileged women with skill sets and basic business management in order to achieve financial independence has captivated ILTIZAM since 2015 to collaborate with the social enterprise under its Community Enrichment Programme. ILTIZAM assisted Batik Boutique’s expansion plans by contributing towards it new and bigger training centre in early 2018. Sewing equipment of various capacities, furniture and fittings were provided together with the necessary training expenses, all with the hope that more women can be helped via this enterprise. The seamstresses, which are now greater in numbers, have evolved to become more confident. They are now more articulate when expressing their ideas and thoughts about their work, brought on by the weekly meetings, training and discussions at the workshop. More importantly, these women have strengthened their ties with their families. The Batik Boutique has become a shining example of how economic empowerment improves people’s lives holistically. Today, the enterprise boasts of having more than 150 artisans working with them to gain a fair, sustainable income and marketable skills. ILTIZAM is proud to have supported The Batik Boutique and played a role in empowering these women’s lives. For more information on Community Enrichment Programme, click here. Sekolah Kebangsaan Bukit Lanjan (Asli) (SKBL) is a school attended by children of the small Desa Temuan Orang Asli community. Located at the centre of an urban area - Damansara Perdana in Selangor - SKBL is overshadowed by affluence of the location which are signified by high-rise commercial and residential buildings. 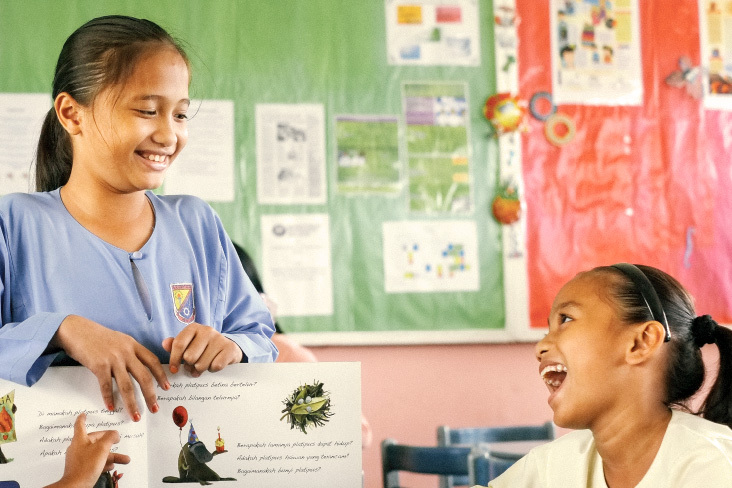 SKBL is also situated within the vicinity of Ekuinas' office, one of the factors that led ILTIZAM to reach out to it and help to improve its performance, under its Community Enrichment Programme. 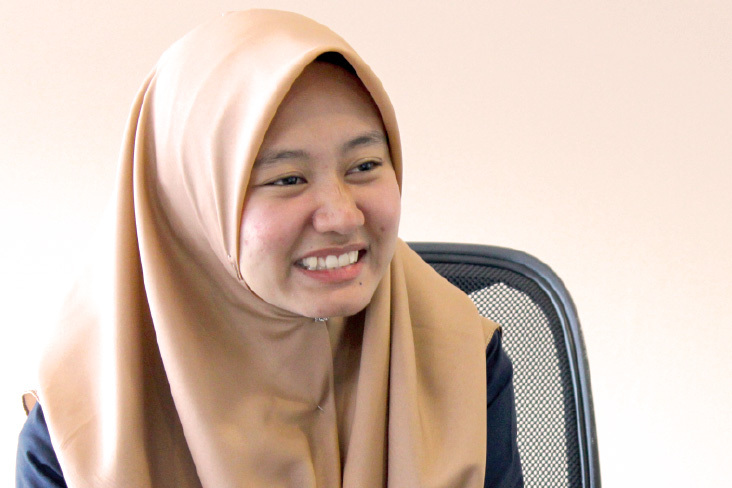 Nur Amira was a recipient of the Peneraju Tunas Potensi endowment, one of the programmes under Yayasan Peneraju Pendidikan Bumiputera (YPPB) set up to develop promising young Bumiputra talents from underprivileged background. The YPPB partners with ILTIZAM to develop Bumiputra talents through academic and vocational education. 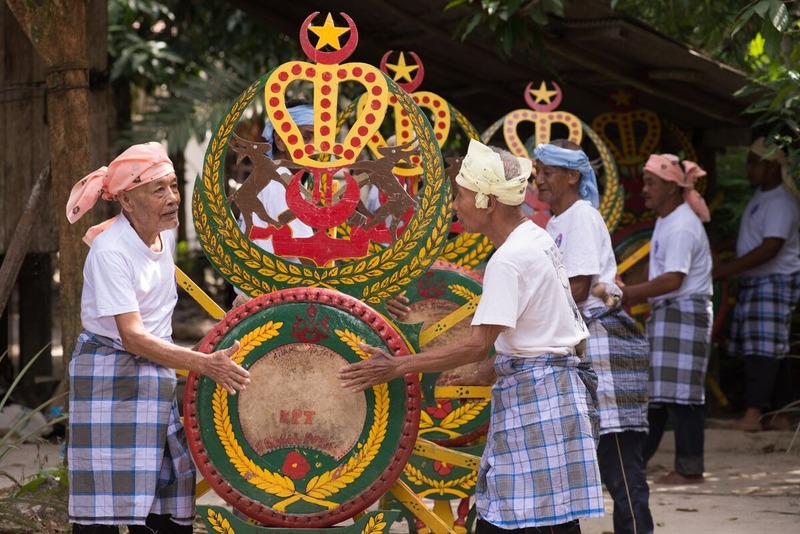 There is a small community in Pasir Mas, Kelantan, that tirelessly work to upkeep the art of making and playing the Rebana Ubi, a traditional musical instrument, much like a drum, and one that is uniquely Malaysian.